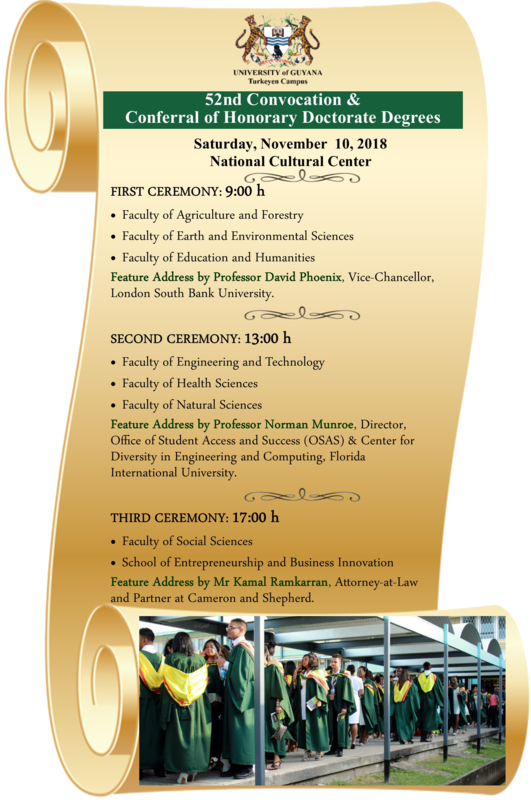 Invitations and advisories will be available from October 30th, 2018 for the Turkeyen Campus. Graduands may visit the Students’ Welfare Division, Turkeyen campus and the Registry Office (Berbice Campus) to uplift these items. NOTE: ADVISORIES & INVITATONS WILL ONLY BE ISSUED AFTER PAYMENT OF THE GRADUATION FEE.